25x13mm. 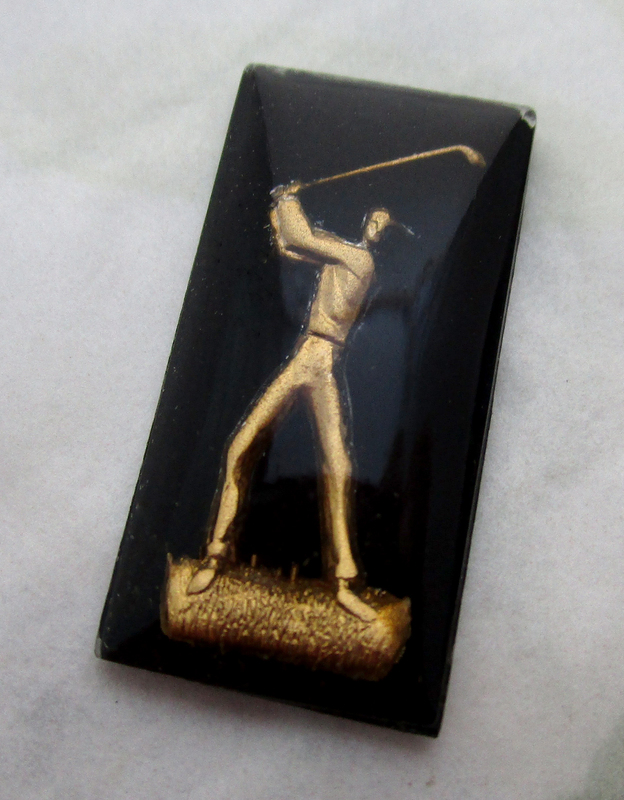 Vintage glass reverse painted intaglio golfer cabochon from Western Germany. New old stock. Jewelry supplies.